A fun and easy way to enjoy carrots - just season and bake! We needed another side, and I had a bag of carrots, so I thought about making Carrot Stick Fries using this recipe from Sweet Treats and More (featured on Five Friday Finds). 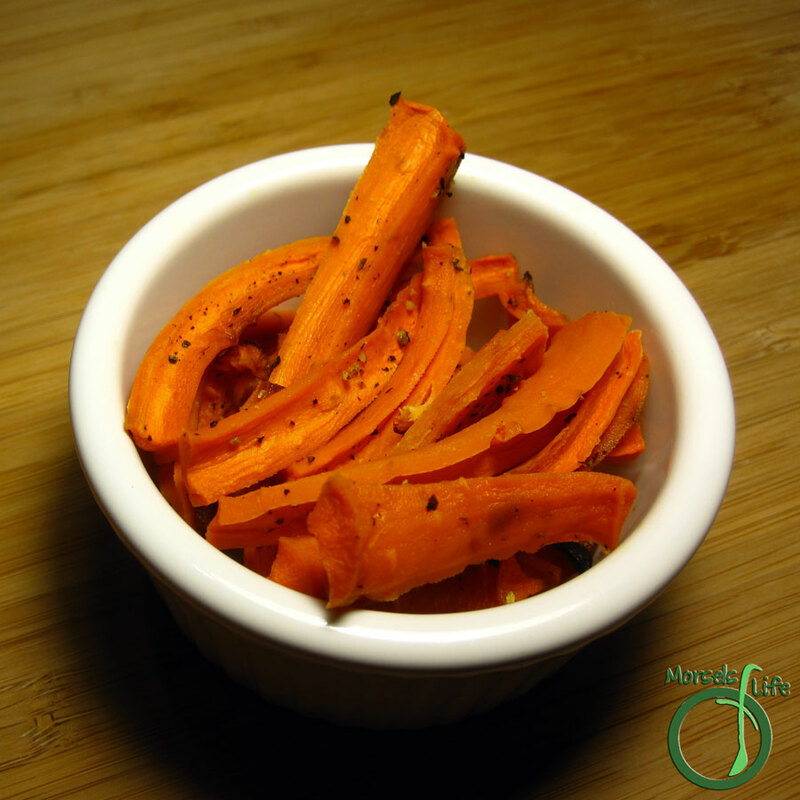 These easy Carrot Stick Fries definitely follow the spirit of simplicity. I mean, really, can you get much simpler than carrots, seasoning, and a quick misting of oil? Prep took about 5 minutes, but you could easily shorten it by purchasing baby or pre-cut carrots. You can also adjust the baking time based on your preferences. I usually go for 15 minutes at 400F or 20 minutes at 350F depending on what else I've got going at the time. What are some of your favorite simple eats? seasonings I used the old salt and pepper. Place carrots on a baking sheet (no thicker than a monolayer). Spray with oil and season. I used the old Misto again. Bake at 400F for about 15 minutes or 350F for 20 minutes. Yum! Mi tried sweet potato fries for the first time last week, and now I need to try these. Thanks for sharing at Must Try Mondays.